It’s no surprise that pilots and those taking great videos and still shots love to use drones in the winter: it’s not only the warmer months that offer jaw-dropping footage. When cities and villages all over the glove are covered with a fresh coat of white snow, getting a high-quality camera above them to show the rest of the world how spectacular they are is one of the most fun things you can accomplish as an owner of a UAV that pulls down great footage. Since even the finest of drones are working with a bit of a limitation on battery life, shooting in the dead of winter poses many challenges. There are many elements to be concerned with such as areas that have already become half melted, any areas of your drone that may be loose or slowly cracking, and ice that may have already gathered around branches of trees. There are also instances where you run home after pulling down some great footage over a snow-covered location, and are very excited to see the results. Lo and behold, when you pull up the SD card and monitor, there are glare and balance issues that you may not get during the warmer months, depending on the time of day. 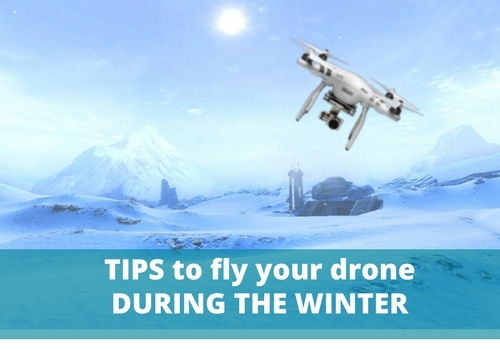 Here are some tips to help you get the most out of your drone during the winter, and make sure that your footage doesn’t suffer the “frigid effect”. Dealing with Moisture issues: Whether it is fog, snow, or rain that you are flying in, the moisture in the air around you is not going to help matters any as far as the motors or other sensitive electronics on the drone are concerned. Fog is one of the things you want to avoid with a capital “A”, because you could lose sight of your precious drone right off the bat. 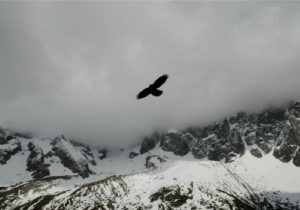 There are some in the extreme sports industry who have successfully navigated snow, but it is not recommended. If you really have to do this to get the footage you need, make sure the tablet or phone is covered well, and plan far ahead to make sure you have somewhat of a dry area to land and take off. 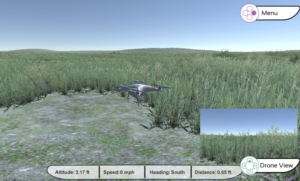 Practice Flying Inside Using droneSim Pro UAS Flight Simulator: This is a super cool version of software that can be customized to help you practice flying a drone in different types of locations. It is basically a code-written entity that “creates” scenarios like forest fires, powerline and tower locations, and adverse weather conditions to fly through. 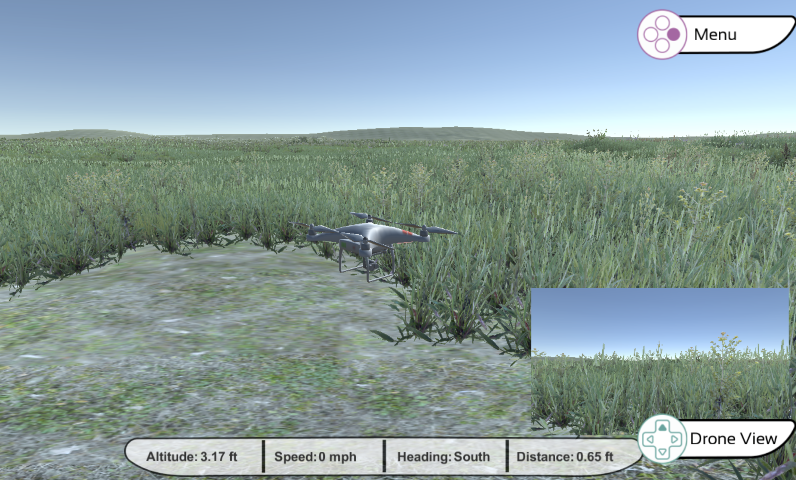 Click here to shop for droneSim Pro. Using software such as this insures that you can have test runs that won’t damage your equipment, and they create elements that absolutely seem lifelike. Especially if you have made the choice to pilot drones for your own business, by all means pilot the “artificial” skies before you attempt the real ones. Choosing Appropriate Filters for the Season: When the weather and sky is very bright, sometimes it forces the aperture on the cameras to be fixed too fast, and it turns the video into something that looks primitive, and the polar opposite of smooth. If you add a Neutral Density filter, it helps limit the amount of light that enters the camera, and allows for the user to choose slower shutter speeds. Ice can really be the enemy: When you are trying to pass through an area of interstate or residential street with a car, ice is truly the enemy, as it can make things slippery and unsafe. 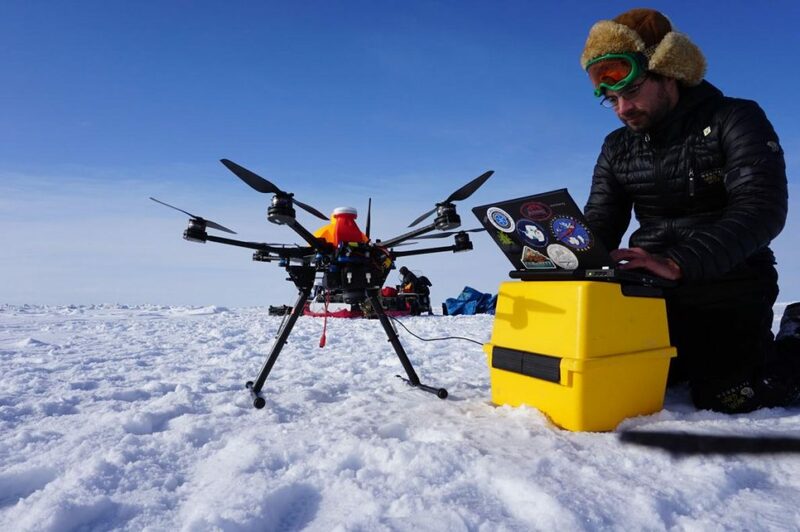 When ice builds up on the blades of drones propellers, it makes the UAV heavier, and you’ll notice instability immediately. One thing to do is just to stay as far away as possible from a possible shoot if that temperature is hovering around the 32-25 degrees Fahrenheit range, because that is when most of the troubles begin. Being Proactive about Battery Life: When the temperatures dip, your battery is going to be affected, and quickly. 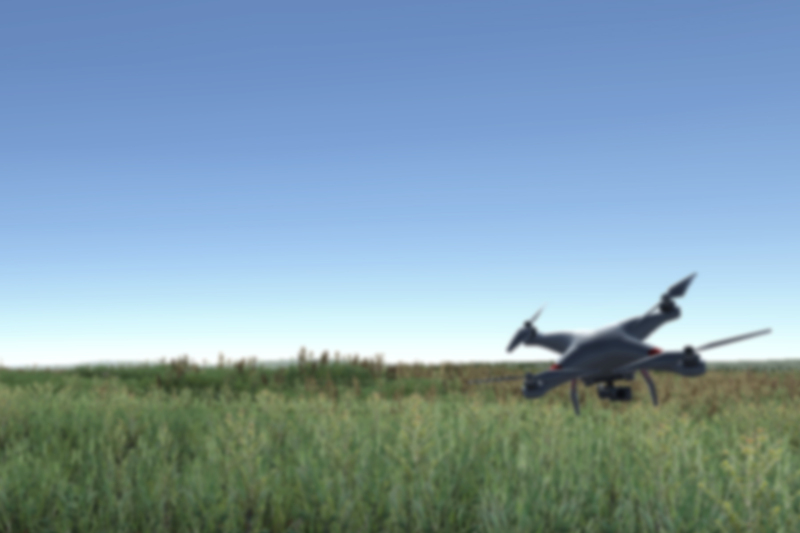 It is essential to plan for this both in flight routes, and in all ways that you deal with and handle the batteries. Keeping a hand warmer handy or in your pack is a good tip, but you must take special care to not place it directly on the batteries themselves. Once you get in the air, you can begin by letting the drone hover for at least a minute or two to make sure it warms up properly. Cold conditions are known to make the battery’s voltage drop, and so keeping away from hitting high speed right in the beginning is a good choice to boot. Varying amounts of Wisdom Regarding Visibility: Fog is almost always present over water during the winter, even if it’s just in very trace amounts. One thing about low clouds is that they make for quite a dramatic photo or video shoot, but they require the pilot to absolutely be on their top guard to get through unscathed. Even with all of the GPS options among others that there are to track your craft, visibility is one of the things that is always going to work in your favor. We know just how mesmerizing a winter wonderland can look: after following just a few of these tips, you’ll be up in the air and pulling down some snow-capped stills or video in moments! You make some really good points in this article but the one that stands out for me is around the impact of freezing temperatures on battery life. I think that this would catch a few people out and could also lead to having an inaccurate reading of how much battery life is remaining.